East Berlin named one of top 10 safest, most peaceful places to live in PA! 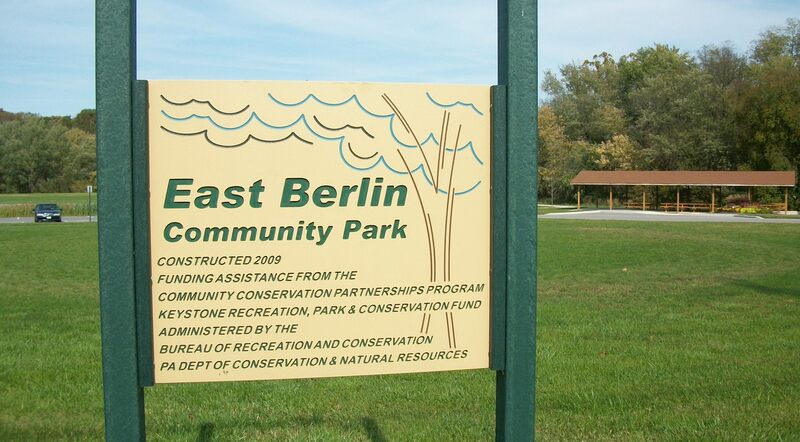 East Berlin Citizens and Borough Council welcome you to our community’s website. 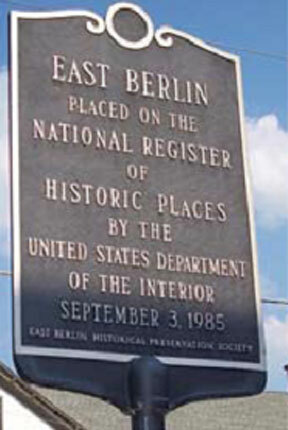 East Berlin is a small community of approximately 1,500 people. Though small, we have a number of clubs and organizations. 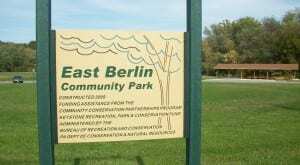 The Lion’s Club, East Berlin Area Community Center, East Berlin Senior Citizens, East Berlin Community Library, Liberty Fire Company #1, East Berlin Historic Preservation Society, Veterans of Foreign Wars, East Berlin Baseball for Youth, Scouts and 4-H are a few. We have a great variety of local businesses either right in town or just outside of our borders. We are sure you will find what you need in or very near East Berlin. Among these businesses are several fine restaurants and taverns, unique shops, antique shops, Beds and Breakfasts, a florist, a grocery, hardware, an auto dealership and a bank. In town are two medical establishments, dentists, chiropractors and a pharmacy. Our industry includes wood products, electronics and specialized animal feeds. Many of our organizations and business have their own web sites. Please visit them to obtain more information. Our regionally famous Colonial Day is sponsored and run annually by the Historical Society. Folks come from Maryland, Virginia and West Virginia as well as many Central Pennsylvania areas. Colonial Day is the second Saturday in September, rain or shine. If you have a question not answered in our web site please use the contact link at the top of this page to communicate with us. Please be patient, however. If the answer requires an official response by Borough Council or the Mayor, or if research is required before answering, it may take some time. Your answer may arrive in the form of an official letter. So, be sure to include your mailing address in the email. Thanks for visiting. We hope you love East Berlin as much as we do. Sincerely, East Berlin Citizens and Borough Council. The Borough’s 17 acre Community Park is located on North Avenue. 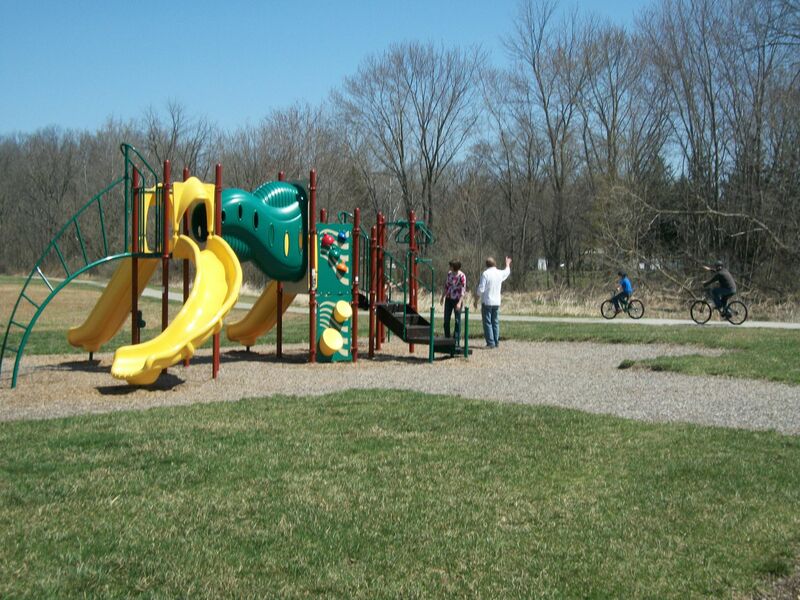 Current features of the Park include a 1,250 square foot picnic pavilion with electrical service, a skatepark, a 0.4 mile looped walking path, playground equipment, a soccer field, a personalized brick walkway, a parking area, a bluebird nestbox trail, and various landscaping features. The Park gains in popularity and use every year. 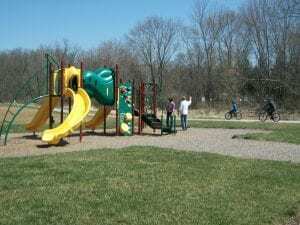 The Parks and Recreation Commission has two current grant applications submitted for further development of the Park. Project scopes for the grants are: 1.) completion of paving of the walking path and construction of a basketball court, and: 2.) construction of a restroom facility. In both cases, the grants require matching funds, so donations from organizations, businesses, and the public are key to meeting the match requirements. Donations can be directed to the Borough Office address noted above. Other options of providing financial support can be made by supporting our “Engrave a Brick” program or sponsorship of a picnic table. The “Engrave a Brick” program has been popular as one can use it to honor, memorialize, or acknowledge people, pets, or achievements. The brick is placed in the brick walkway and the walkway and its individual personalized bricks have become a good conversation starter for park visitors. Sponsoring of picnic tables produces the same response from visitors as a plaque is attached to the picnic table with wording of the sponsor’s choice. The picnic pavilion, with a capacity of at least 80, can also be reserved for exclusive use at a daily fee of $50. Proceeds from the pavilion rental help park funding, also. The Parks & Recreation Commission holds an annual golf outing at Briarwood Golf Course. This has been a popular event and successful fundraiser. Mark your calendar for the third Friday in September and come out and join us in support of the Park. The Parks & Recreation Commission meets the 2nd Thursday of each month at 7:00pm in the Borough Hall. The public is always welcome and we look forward to community input on what features the public would like to see incorporated in future projects. In 2004, we established as our mission statement, “Develop a park and recreation facility that offers physical and recreational activities, social settings, passive areas, and open spaces to be enjoyed by all, young and old.” We remain committed to fulfilling that mission in the years ahead. 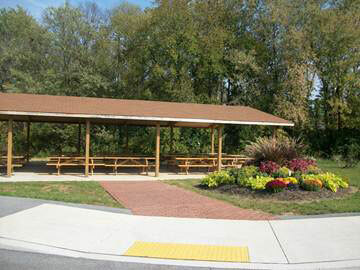 For Pavilion Rental, Engrave a Brick, or Picnic Table Sponsorship: Borough Office; 717-259-9224; eastberlinboro@comast.net. 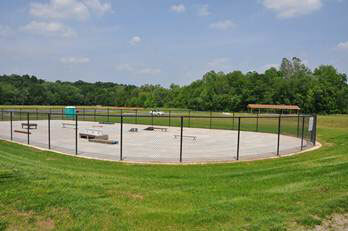 For Other Park Matters: Phil Keener; 717-259-9984; pittche74@yahoo.com. The East Berlin Borough Facebook page is not maintained by the Borough Council. The Council is not responsible for its contents.